The Byway offers something for everyone, whether their interests are historical, cultural, recreational or a simple scenic drive. 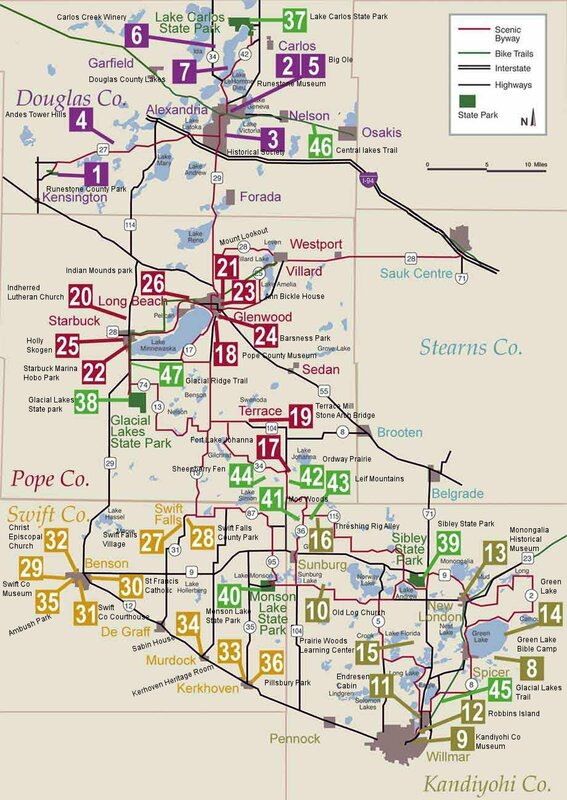 The Byway offers access to West Central Minnesota‘s abundant natural resources, recreational opportunities, historical and cultural character, all while offering modern, convenient travel accommodations. The Glacial Ridge Development Association is a project of Prairie Country Resource Conservation and Development (RC&D) Council and WesMin Resource Conservation and Development Council.